Essen – former industrial city Essen, in the Ruhr area of North Rhine-Westphalia was European Capital of Culture in 2010 – not bad for a city previously known for its industry. It has become a more diverse city in recent years, and is now a popular travel destination. In fact, Essen has the perfect blend for culture lovers, shoppers and gourmets. The many museums and theatres – not to mention the opera – show fantastic performances year-round. Love shopping? Essen is the right city for you; there are more than 700 shops, boutiques and outlets. The city is also well known by business travelers for its variety of annual conferences. In addition, Essen spoils visitors with a wealth of restaurants and bars to choose from. Whatever food you fancy – award-winning cuisine, traditional food, or any other cultural specialties – you’ll find it here. No wonder “essen” means “to eat” in German! Don’t miss out on a drink in a cozy wine or beer bar, or one of the many trendy pubs in town. So for the perfect accommodation, check out AccorHotels.com. 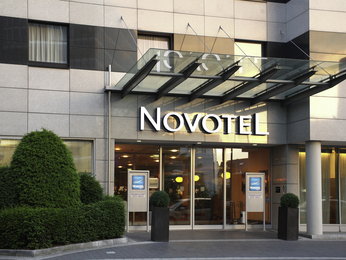 We offer hotels in every part of the city, great comfort and the best value for money. 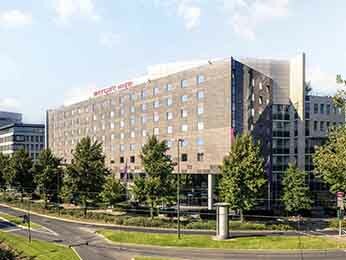 Choose a hotel in Essen on AccorHotels.com and discover the city from there You’ll find the Zollverein Coal Mine Industrial Complex in Stoppenberg, in Essen’s north east. This coal mine was active until 1986 and is now part of the UNESCO World Cultural Heritage. The architectural and industrial monument is a reminder of Essen’s past – and is even considered the most beautiful coal mine in the world. If you’re after culture, choose between the philharmonic hall, the opera house and the many theatres and museums. Love musicals? Give the Coliseum Theatre a visit, and if there’s still time, try the GOP Varieté or Stratmanns Theatre. Then there are the Villa Hügel and the Essener Cathedral; a Gothic church made of calcareous sandstone and famous for its impressive golden statue of the Madonna which is more than 1,000 years old. If you love films, catch a movie at the Essener Lichtburg, Germany’s biggest cinema complex. For a great shopping experience, simply stroll through the city center, or Limbecker Platz – Germany’s biggest city centre mall. Below is a list of sights you need to see during a visit in Essen. - The Zollverein Coal Mine Industrial Complex - Philharmonic hall - Aalto Theater - Villa Hügel - Essener Cathedral - Museum Folkwang - Alte Synagoge - Red Dot Design Museum Essen – young culture Old industrial Essen has developed to a much younger, multifaceted city over the years. And one thing is for sure: whenever you visit Essen, you won’t get bored. If you fancy a rest during your visit our centrally located hotels are usually in walking distances and give you everything you need to recover from a long day. 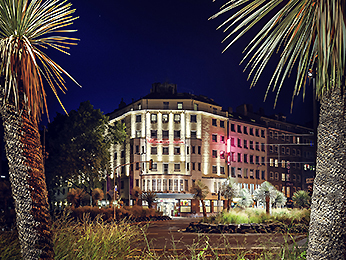 AccorHotels offer great comfort and service, so that you can start afresh each evening. Depending on the location of the hotel you choose, you’ll usually find a good selection of evening shows, musicals, concerts, as well as bars and clubs within short distance. 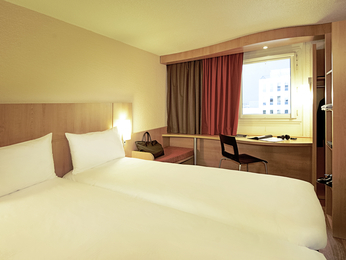 Your advantages with AccorHotels in Essen! All guests receive Le Club AccorHotels loyalty points during their stay. Collecting loyalty points gets you discounts or vouchers for overnight stays. And if you have children, you’ll really benefit from our family offers, which are tailored for your needs. So no matter if you’re searching for weekend offers or breakfast discounts: with AccorHotels.com everyone can find a great deal on a comfortable overnight stay in one of our hotels in Essen.